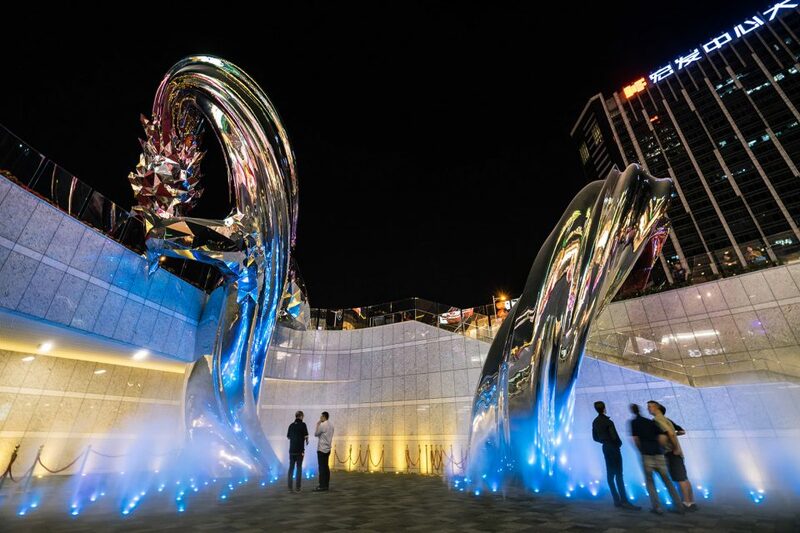 UAP had the honour of working with legendary artist Lawrence Argent, collaborating with him on two projects shortly before his death in October. 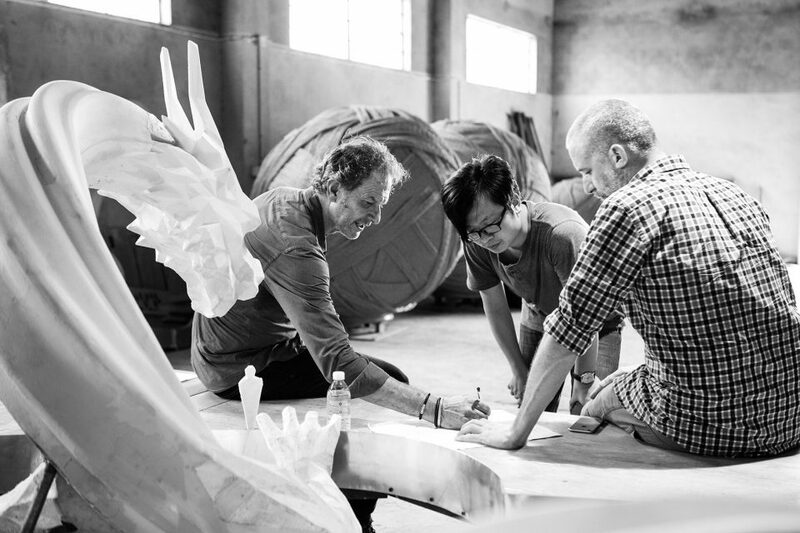 Known for his whimsical sculptures which feature monumental-sized animals, Argent’s final projects continue his artistic vision, successfully transforming the spaces they are in. 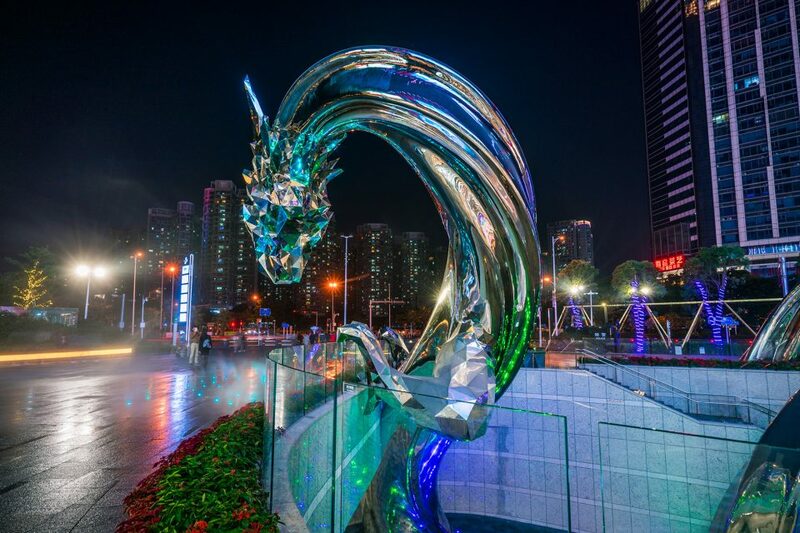 Beyond Reflection uses a dragon to reflect the culture of its Chinese setting and the mythological creature’s characteristics of power and happiness. 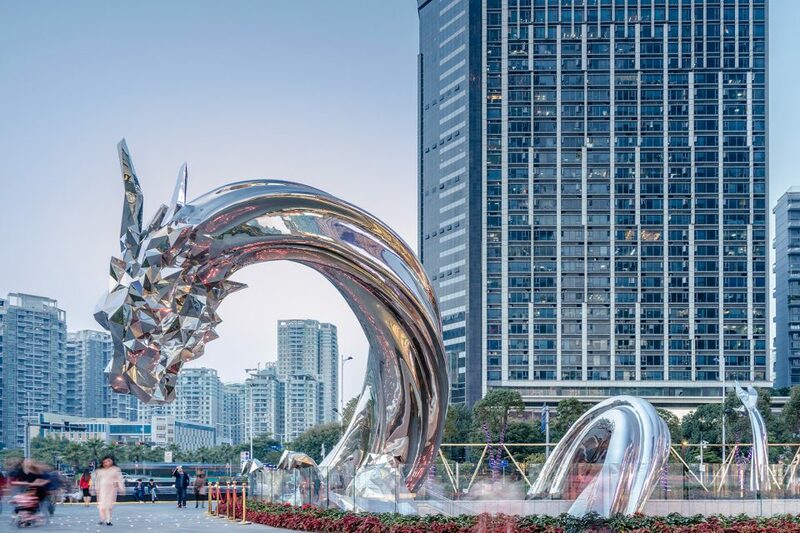 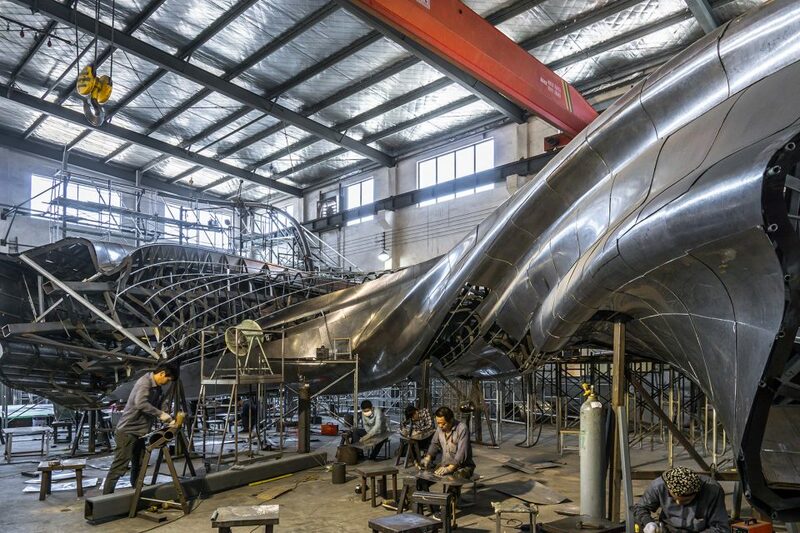 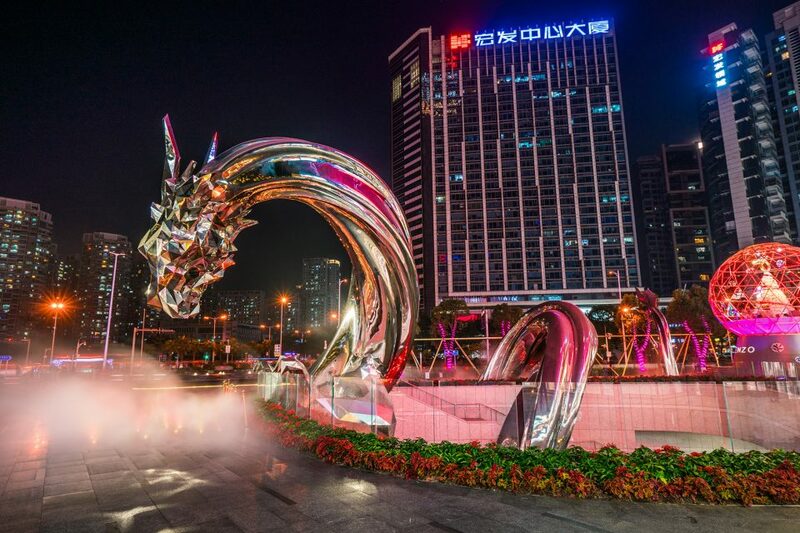 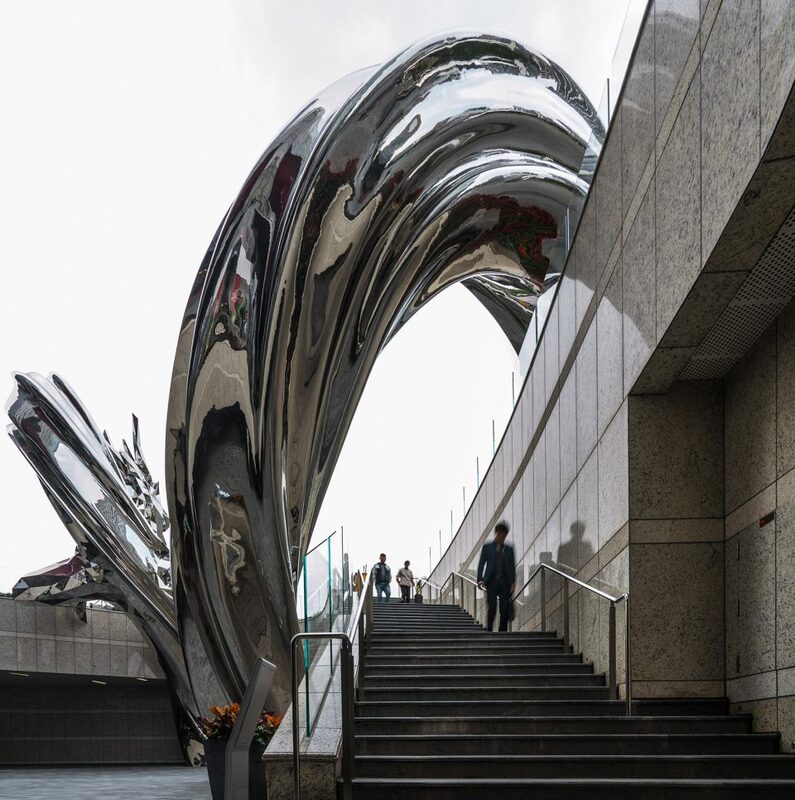 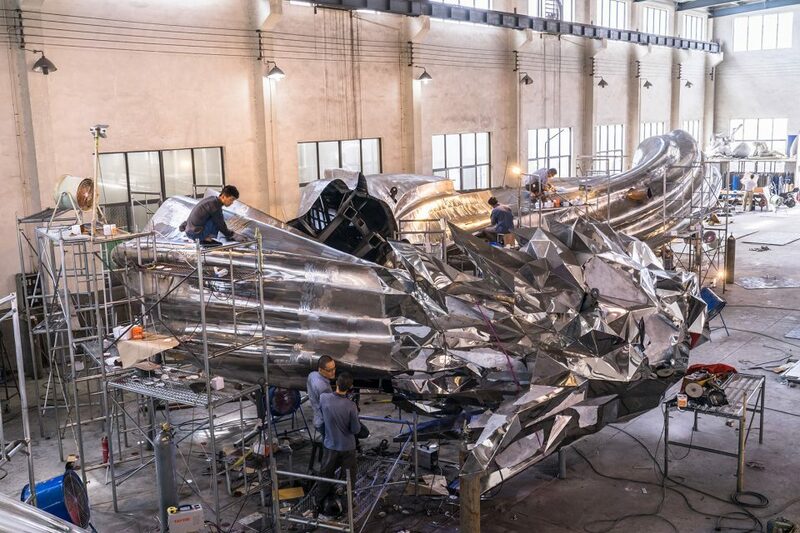 Through the use of a sunken plaza, the 16 metre stainless steel structure cleverly spans two levels, with the body and legs of the dragon below ground, and the head, back and tail above. 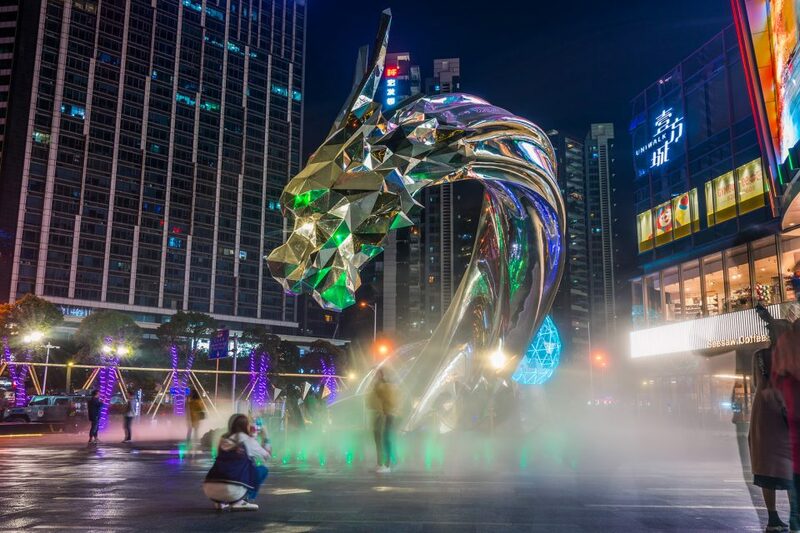 This unique approach, along with the use of mist and lighting, makes it appear the dragon is floating.